Any sudden change to your diet can have a negative impact on your digestive system. Switching to a low-carb diet, especially if you go very low carb in the initial stage, can lead to less frequency in your bowel movements. You may need to increase your intake of fibrous vegetables or look at your overall lifestyle. If your bowels continue to act up, talk to your doctor to rule out an underlying medical issue. The first two weeks of a low-carb diet usually entail a radical reduction of your carb intake. 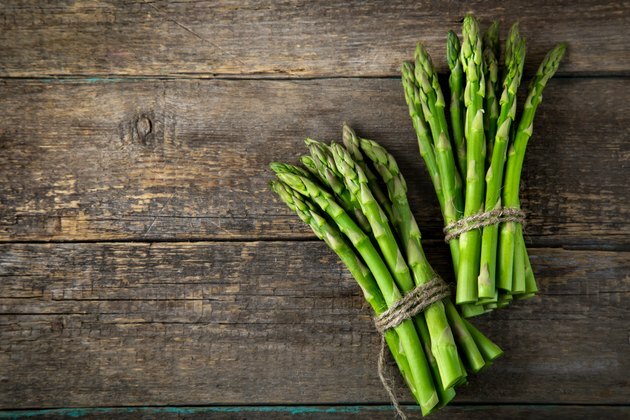 Depending on the plan you choose, you may eat only 20 grams of net carbs a day — that’s total carbs minus fiber, which your body doesn’t digest – until you reach a certain weight-loss marker Low-carb diets generally recommend you get most of your carbs from nonstarchy vegetables during this first stage — foods like asparagus, broccoli, dark leafy greens, bell peppers and zucchini. These veggies are low in overall carbs and rich in fiber. In addition to nonstarchy carbs, you eat all the protein you want and fats in suggested serving sizes. All plant foods contain fiber, a type of carb your body can’t digest. When you eat high-fiber foods, the fiber passes through your system, adding bulk to your stool and helping to maintain healthy bowel movements. Current recommendations for fiber intake are 20 to 30 grams a day. If you routinely ate whole grains like oatmeal or bran-based cereals to keep you regular, on a low-carb plan you may not have access to these foods for several months. On the classic Atkins diet, for example, you don’t eat grains until Phase 3, when you’ve graduated to 50 to 80 grams of net carbs daily. This could lead to constipation if you don’t adjust your meal plan. Make sure you're getting enough fibrous veggies: For example, a cup of cooked collard greens has 8 grams of fiber, while the same serving of cooked broccoli or brussels sprouts supplies 6 grams. Food intolerances could also lead to constipation. If your low-carb plan allows dairy foods, try cutting back on your intake, says Dr. Deborah Gordon on her website. Gordon recommends incorporating some fermented foods, like sauerkraut, into your low-carb diet to help regulate bowel movements. If you’re experiencing diarrhea on your low-carb diet, you may have upped your use of sugar alcohols in order to spare carbs. Like fiber, sugar alcohols don’t count toward your daily carb count, so you can partake of them freely. However, in amounts over 10 grams, sorbitol, one of the sugar alcohols, causes digestive upset like cramping and diarrhea in more than 50 percent of people, reports Food Intolerance Diagnostics. Xylitol, another sugar alcohol, can have similar intolerance symptoms. Food manufacturers use these sweeteners in a number of sugar-free foods, although you would have to eat them in significant portions to reach 10 grams of sorbitol. Changes to your bowel habits might also have lifestyle causes. Notice if other habits changed, too, when you started your low-carb diet. If you’re stressed about losing weight or because you’ve hit a plateau, your bowel movements could become more difficult. Make sure you are drinking enough water, a minimum of six glasses daily, and getting at least an hour of movement every day. Also, if you find you’re having more meals on the run, your digestive system may be rebelling against the hurried pace. Slow down, chew your food well and try to relax. Dr. Deborah M.D. : Help! I’m Constipated on This Low-Carb Diet!